"The United States condemns Russia's deployment of military aircraft and personnel to Caracas, which is another contradiction of both Nicolas Maduro's and Russia's calls for non-intervention in Venezuela and is a reckless escalation of the situation," a State Department spokesman said. 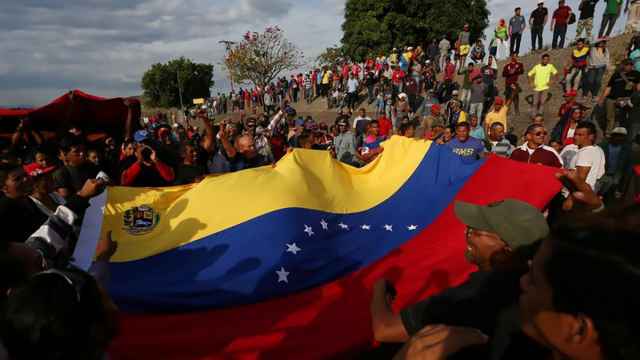 The vice president of Venezuela's Socialist Party, Diosdado Cabello, confirmed two planes had flown to the country from Russia, but he did not give a reason or say they carried troops. 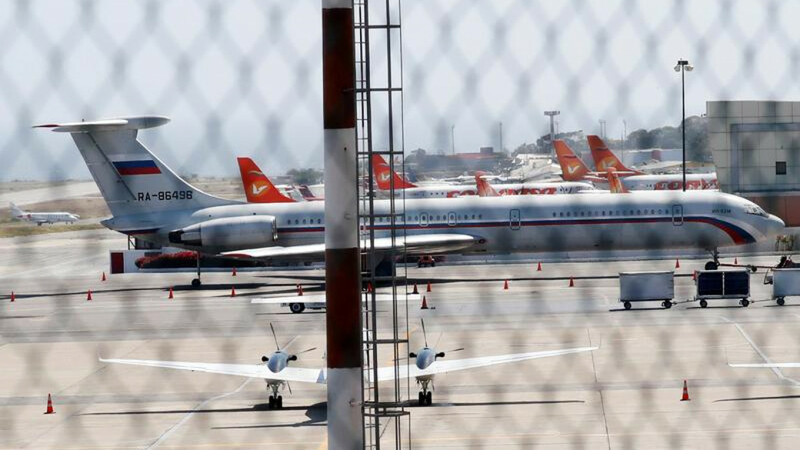 "The planes from Russia landed in Venezuela because they were authorized by the only government that there is in Venezuela, and it's called the government of Nicolas Maduro," Cabello said in a speech broadcast on state television. 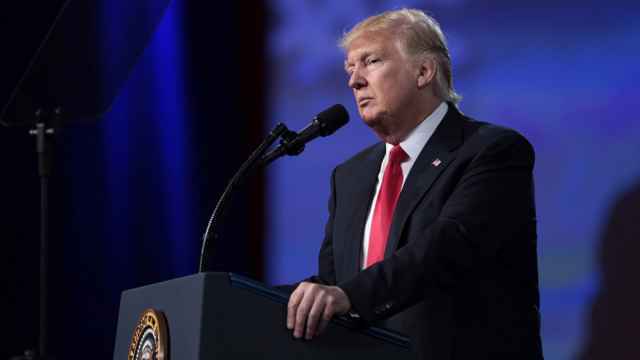 U.S. President Donald Trump said in 2017 that the "military option" was on the table when it comes to Venezuela, but administration officials have since downplayed talk of armed intervention. A spokesman for the U.S. military's Southern Command, which oversees U.S. forces in Latin America, said Russia's deployment of troops "directly undercuts the democratic aspirations of the Venezuelan people." 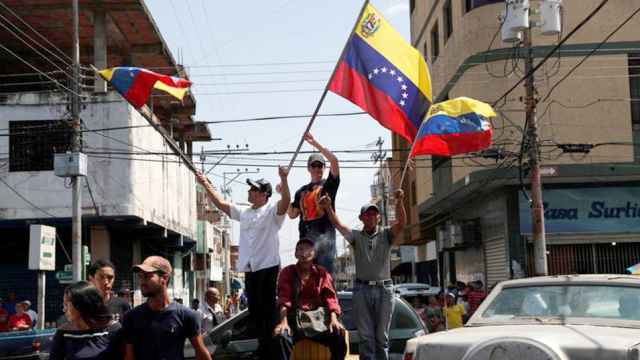 "[Maduro's] former regime, aided and abetted by countries like Russia and Cuba, continues to repress democratic actors in Venezuela," said the spokesman, Armando Hernandez. The Organization of American States regional grouping called the presence of Russian military equipment and personnel "a harmful act to Venezuelan sovereignty." "Such cynicism on the part of a country like the United States," wrote Venezuelan Foreign Minister Jorge Arreaza on Twitter. "[With] a growing military budget of more than 700 billion dollars, it seeks to interfere with the technical military cooperation programs between Russia and Venezuela." The Trump administration has imposed crippling sanctions on Venezuela's crucial oil industry. On Friday it sanctioned its development bank, Bandes, in efforts to choke off financial flows to Maduro's government and called on Venezuelan military leaders to abandon him.